Defensive end Willie Young #97 of the Chicago Bears looks on against the San Francisco 49ers at Levi's Stadium on September 14, 2014 in Santa Clara, California. Chicago Bears linebacker Willie Young was tagged with a personal foul penalty in Sunday’s win over the St. Louis Rams, and on Friday he got dinged a second time as he was fined by the NFL. The fine comes as a result of the roughing the passer penalty he picked up late in the fourth quarter of the game. As a result of his illegal hit on Rams quarterback Nick Foles, Young was tagged with a $17,363 fine for the infraction, according to the league. 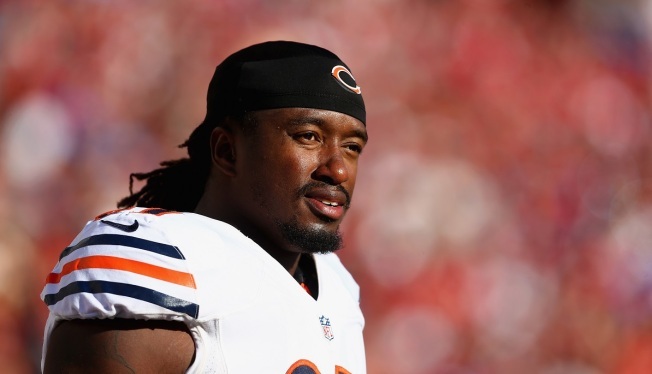 Even with the fine, Young has been a big part of the Bears’ success in recent weeks. He’s been getting extended playing time at the defensive end and outside linebacker spots, picking up three tackles and a defended pass in the team’s win over St. Louis last week.